So many cool LINES on this poster. 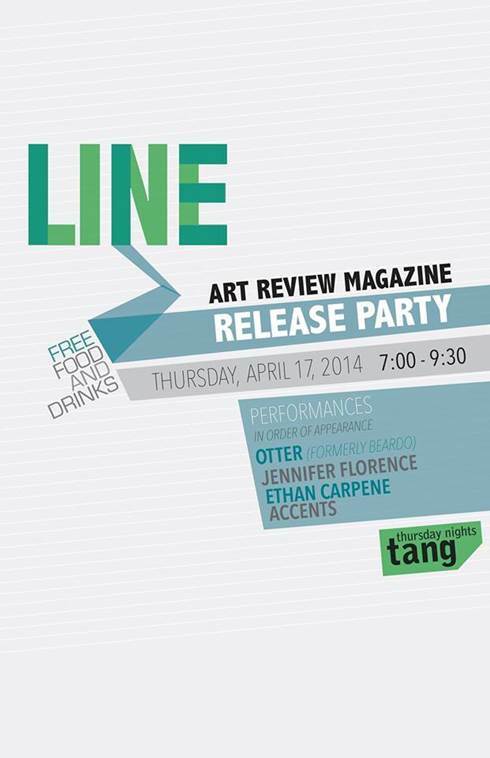 LINE, Skidmore’s only art review magazine, will be holding it’s release party this Thursday. LINE is a student-run publication that reviews artwork around campus. They review art in the Schtick Gallery, Case Gallery, as well as the Tang. In the past LINE has been a per-semester publication, but this year the editors decided to expand the size and span across the school year. They’ve revamped their image and created a more cohesive and far-reaching publication. The event will be held in the Tang and will feature live music by Skidmore’s own Otter, Jennifer Florence, Ethan Carpene, and the Accents. In addition to live music there will be food and drinks. And, of course, there will be free copies of LINE. Tang Museum Atrium on Thursday, April 17 from 7:00 – 9:30 p.m.